Dylan Hysen, Hayley Habuurs, & Andy Potter recap Chapter 13 of Volume 5 of RWBY, “Downfall”. I’m just going to go point by point for this. 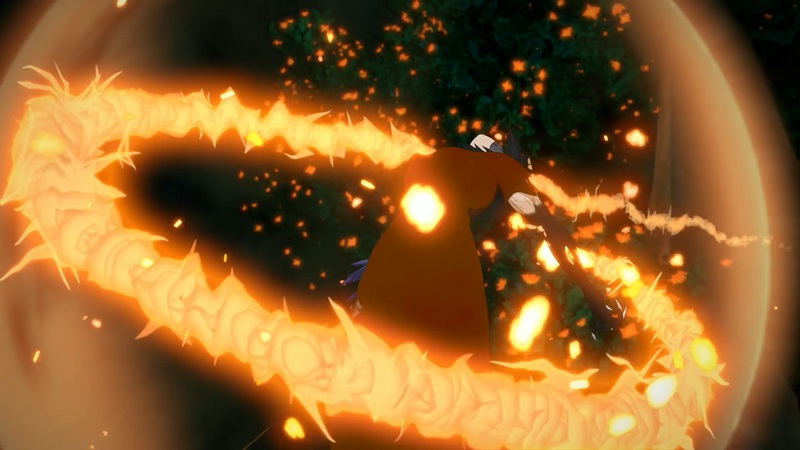 Cinder probably isn’t dead, Raven was frozen before the battle and broke out fairly easily. Raven and Yang reconciling? No. There’s absolutely no reason for it. Raven has done nothing to redeem herself for all the atrocities she’s committed and even before all the fighting started, she reminded Vernal they were only here for the relic. There is no rekindling a relationship that never existed. The search for Raven had always just been a need to fill the void left by Summer and now she’s caring more about her sister there’s no need for a mother figure. Bumblebee watch: Yang was not blushing, she has the same skin coloration in the next scene with Mercury. The closest we come to a ship moment is White Knight with a little banter and Rose Garden. Every scene with Adam and the White Fang have been disappointing. He somehow losing all his skill, speed and strength. It also makes no sense for him to go down to just to a punch. Adam was originally shown to be able to vaporize people. I highly doubt this is the finale for Adam. As for Yang becoming a maiden. All I can say is please no. It seems Yang is in the vault to stop Raven from taking the relic. Jaune is a paladin, not a bard or cleric. He will likely, and you probably won’t like it, be on the front lines and rally his team. To defend the decision to take Weiss out of the fight momentarily was for the reasons presented in this episode. She would have been too powerful a force with her summons. That’s why they took her down and it helped kill two birds with one stone. If Cinder is dead, Emerald will likely become the “I must get my revenge” character, not sure if that is good or bad. Mercury… we don’t know why he’s here really. Ship watch: Black sun has a strong chance. Lancaster…. honestly ships have taken a real back seat this volume. Not that I’m against Bumblebee, but we have to remember that Yang felt betrayed by Blake and has not overcome those emotions, but I’m a Solar Flare fan and might just be hoping that starts now that they’re finally near each other. Overall, finally we need that team RWBY moment at some point. Great episode this week. Just a quick note about Adam. I’m pretty certain that the anti-climactic nature of Adam’s demise was intentional. It was the classic scene where the school bully gets humiliated in front to the entire school. Afterwards, the bully’s carefully constructed tough-guy persona is shattered, and no one is scared of the bully anymore. For this scenario to work, it is imperative to this scene that Blake breaks Adam easily. The bully gets punched in they eye one time, falls to the ground and doesn’t get back up. Everyone thinks, “Well I could have done that.” Now no one is afraid. So for Adam, the worst thing possible has happened. He didn’t die in glorious combat, he didn’t blow up the school and everyone in it. He just got neutered in front of everyone and has to live the rest of his life as a figure of pity and derision. It also sets up a situation where Blake instantly becomes leader. She stopped the bully. She led a cause where people were fighting for something rather than fighting to destroy something. This is also why it was important for Sienna Kahn to die. If Sienna was still alive, there would be no power vacuum for Blake to fill. – Yang and Raven have a verbal fight. Yang finds that she despises her mother. – Cinder doesn’t fall. She comes back and applies a mortal blow to Raven. – Ruby arrives in the basement in time to fight Cinder. Maiden vs. Silver Eyes. Cinder is injured and must retreat. – Ruby rushes to help Raven, yelling for someone to get Jaune. Too late, Raven dies in Ruby’s arms passing Spring Maiden the power to Ruby. – Weiss will clearly be the Winter Maiden. – Yang (hot, firey, sunny little dragon) will clearly be the Summer Maiden. – Blake will clearly be the Fall Maiden. – Ruby, the youngest and most innocent will be the Spring Maiden. Since Raven is the Spring Maiden, I think the power has to pass to Ruby. It also makes sense that she should be the first one to figure out how deal with it. And in a truly creepy turn of events, she may have a combined consciousness with Raven (like Oscar / Ozpin) allowing a Raven / Yang storyline to continue. Finally, since both Ruby and Oscar are now dual-entities, Rose Garden is much less creepy. Just my $.02. We’ll see how it actually turns out in a few days. Love that interpretation of the Adam stuff! It’d be cool if we’d been working towards that for any amount of time.. but I’d take it in this episode. I do agree it works better if Blake leads the White Fang from this point on. I like those predictions. Agree Ruby getting the Spring powers makes more sense thematically, but that situation you describe seems a little contrived… well that hasn’t stopped this show before so we’ll see.